In cardiology, B-type natriuretic peptide and the amino terminal segment of its prohormone (NT-proBNP) are important biomarkers. 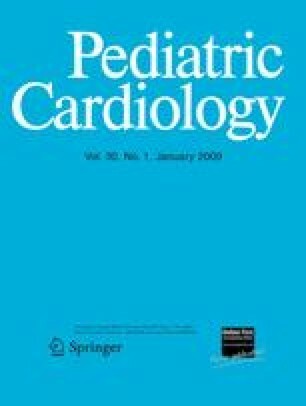 The importance of these peptides as markers for heart disease in pediatric cardiology is reviewed. The peptide levels are dependent on age, assay, and possibly gender. The normal value range and upper limits for infants and children are needed. To determine reference values, data were combined from four studies that measured NT-proBNP levels in normal infants and children using the same electrochemiluminescence assay. The age intervals for the upper limits of normal were chosen for intervals in which no age-dependent change was observed. Statistical analysis was performed on log-transformed data. A total of 690 subjects (47% males) ages birth to 18 years were included in the review. The levels of NT-proBNP were highest in the first days of life, then showed a marked decline in the first week or weeks. The peptide levels continued to decline gradually with age (r = 0.43; p < 0.001). Male and female levels differed only for children ages 10 to 14 years. However, the upper limit of normal did not differ between the boys and girls in any age group. The findings lead to the conclusion that B-type natriuretic peptide (BNP) and NT-proBNP are important markers for heart disease in pediatric cardiology. The levels of NT-proBNP are highest in the first days of life and decrease drastically thereafter. A mild gradual decline occurs with age throughout childhood. Girls have somewhat higher levels of NT-proBNP during puberty. We thank Roche Diagnostics in supplying the test materials for some of the studies. Stephanie Laer was a recipient of the Heisenberg Program of the Deutsche Forschungsge meinschaft (DFG). A. Nir has received support in the form of travel expenses and speaker fees from Roche Diagnostics.